Don’t worry – these feelings are common. It’s freaking awkward to throw yourself in a total stranger’s face and ask them to help you. If you look back on your life, you’ll likely be able to remember experiences where you “put yourself out there” and risked rejection. Times where you acted despite your fear. Like the first time you asked a crush out on a date. Or even just summoned the courage to speak to them. It’s scary as hell. And when it backfires, it’s pure agony. That’s why this post isn’t going to tell you to feel the fear and do it anyway. What if I told you there was a way to put yourself out there in front of important Influencers that’s significantly less nerve-wracking? You see, by starting a blog and building relationships online, you don’t have to move right in and risk rejection by asking for something right off the bat. Fortunately, bloggers aren’t like cute strangers in coffee shops; you don’t have to pounce on them the moment you see them or risk missing your chance. Instead, you can go about building relationships with your favorite influencers progressively and steadily, which is easier and helps you develop confidence. 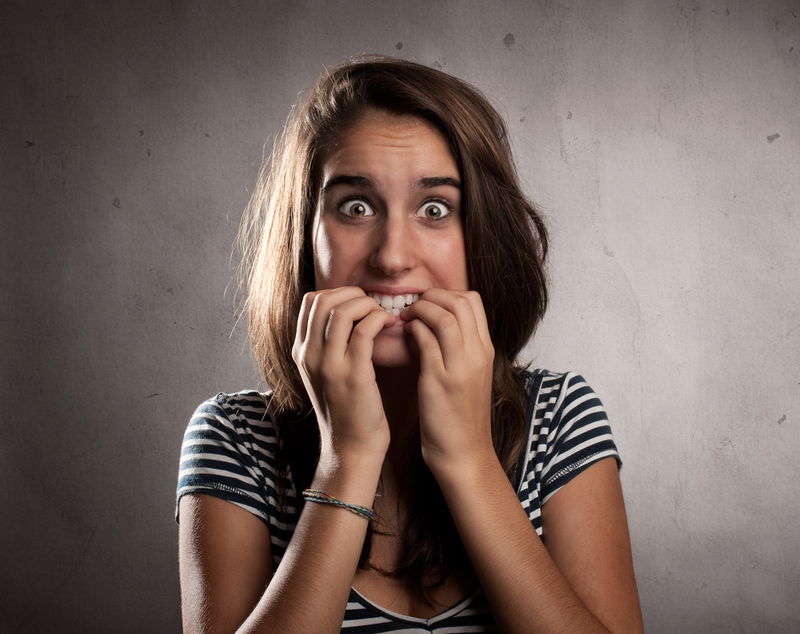 Using progressive exposure (the same technique used to help people overcome real-world phobias), we can reduce the fear associated with blogger outreach. And before you know it, you’ll be feeding your T. Rex warm milk out of a garbage can in your backyard instead of crouching in front of him frozen in terror. The following steps are carefully designed to cure your phobia of contacting popular bloggers and build outreach muscles made of pure courage. You’ll learn to handle everything from piece-of-cake preliminaries all the way up through to the most anxiety-provoking moves (like asking to be a guest post author or asking for a link from a popular website to your own blog). And since the steps are in order from least-scary to most-scary, following them sequentially (probably over the course of a few weeks or even months) will ensure that no one step feels completely insurmountable or causes an overwhelming level of anxiety. That said, they will still feel scary at times. But it’s totally okay to repeat steps until you feel prepared to move forward (or even go backwards and repeat earlier steps). A beneficial side-effect of this process is that popular bloggers will respond better to this incremental approach than to a brave (but probably misguided) attempt to get a big favor from a cold start. Before firing up your social media engines or writing any emails, you must create a list of appropriately intimidating targets – between 10 and 20 people influential in your niche is about right. While merely a preliminary step that actually involves no risk of rejection whatsoever, creating a strategic list of popular bloggers should still give you a few butterflies in your stomach. After all, the prospect of contacting these people just became a little more real. Making your list will also help you visualize your outreach journey, thereby equipping you with a courage-enhancing sense of control over what is to come. Remember, try to pick influencers whose blogs you really do enjoy reading. Your enthusiasm for their work will help you overcome any discomfort you may feel later in the process. And if this step doesn’t make you feel even a tiny bit nervous, you may not be picking big enough influencers. One of the secrets to making anxiety-free contact with popular bloggers is to keep an eye out for natural opportunities to engage with them. These “engagement cues” (discussed in more detail in Step 8) are overt invitations from the influencer to interact with them. For instance, they might ask for opinions or personal stories related to a specific topic. And one of the common places these invitations appear is on social media. You likely already follow some of your target influencers on your favorite social media platforms, but the best way to catch these engagement cues is to methodically follow all of your targets on all of their active social media accounts. Because you’re not just a casual social media user anymore; you’re a budding power-networker! You’re not going to act on these invitations just yet (unless you’re feeling brave); just notice when and where they occur. This step is also important for courage-building because it is public; influencers may notice you via notifications of new followers. Even though by now you are keeping good tabs on your target bloggers via social media, you’ll want to subscribe to all of their email newsletters too. Many popular bloggers consider their email subscribers as having a kind of special status – after all, your email address is a precious thing to give them. Accordingly, many bloggers give their subscribers special treatment. Some, like Chris Brogan, publish subscriber-only content, and others, like Paul Jarvis, send content to their subscribers before it appears on any other platform. 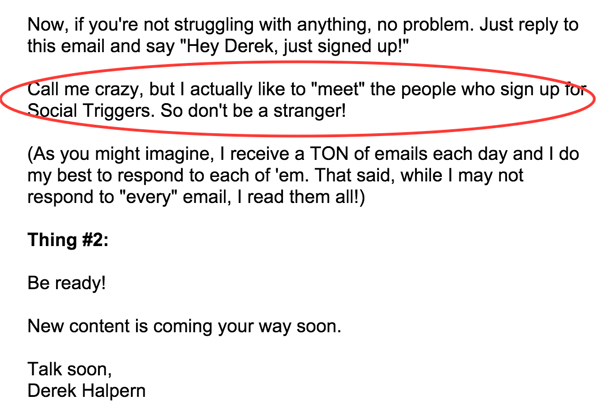 Email subscriptions are a low-stress way to get noticed by influencers (many will check their new signups daily or weekly) and their “welcome to my list” emails are also a great place to look for engagement cues. So as the emails start to roll in, take note of which influencers invite you to interact with them. The great thing about these welcome emails is that they are sent out automatically all the time, so any reply is not time-sensitive. You can wait until you have built enough courage to do so. Even if the messages don’t directly invite you to respond, check the email header for a reply-to email address that appears friendly and personal, like the following one from Michael Hyatt. Also look out for addresses that strongly suggest replies are welcome, like hello@ or replies@. Twitter lists and Facebook interest lists can create a noise-free environment for tracking your targets by filtering out updates from the other people you follow. This will make it easier to spot those previous engagement cues. But Twitter lists have a valuable extra feature – you can choose to make them public, which means that the influencers are notified that you’ve added them. So you must be strategic about your public list labels. A popular blogger may delight in being added to your “Best Technology Bloggers” or “Personal Development Gurus” list but will probably bristle if added to a “Blogger Who Might Share My Stuff” list. You may already be sharing your target’s updates on social media. But sharing in the shadows won’t help you build confidence – or a relationship – so the key here is to make sure they know about it. So on Twitter you must utilize @mentions. In the example below, notice how @FitForceNow not only retweets @reedmylips18 but mentions her in the tweet as well. This strategy dramatically increases the chances that your influencer will notice (and appreciate) your share. To increase the impact of your shares (albeit while activating quite a few more nerves), first reply directly to your influencer with a specific compliment (see Step 7), or create another opportunity to get their attention. By taking this approach, your influencers know you’re not just sharing their content but reading it too. That makes you a follower worth remembering. Linking to your target bloggers’ posts from your own blog lays an important foundation for later steps because it gives you an excuse to ask for a share or even a link. But right now, those are scary things to ask for, so all you’ll do is be sure to tag or mention your influencer when you promote your posts to social media – after all, you linked to them because they inspired you, right? 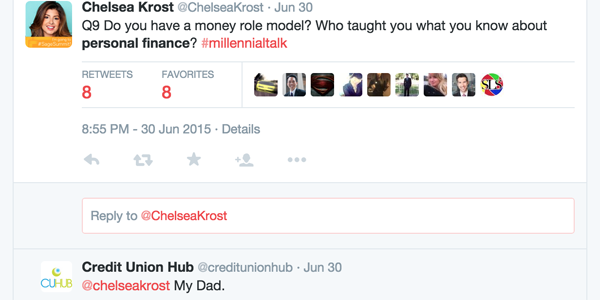 So go ahead and give them credit using the @mention method above. They might notice and appreciate it. If your link does send some traffic to their post, they may even notice your blog in their analytics data (but don’t worry if you can’t yet pull this off). The main thing about linking to influencers is that it sets you up with a natural opening when you email them directly later on. Now that you are completely tuned in to the activities of your influencers, you can jump in and start commenting on their new blog posts without feeling you’ll say something dumb. Just make sure you get in there nice and early. The longer a post has been around, the less likely its author will notice a new commenter. But even busy bloggers obsessively check the responses to their posts soon after publication – they’re eager to find out the reaction it gets. So how do you make sure you are among one of the first to comment on your influencers posts? But if you want the best chance of a headstart on everyone else, you can use a service such as IFTTT to get an email (or even a text message) almost the second a new post goes up. You’ll need to find the RSS address for your target blog. You can do this by installing an RSS detection browser extension (some browsers have such a feature built-in). Once you have the RSS address of your target blogs, you will create the “recipe” connecting the RSS feed to your email. Now, every time a new post goes up on Social Triggers, I automatically send myself an email linking to it. Cool. 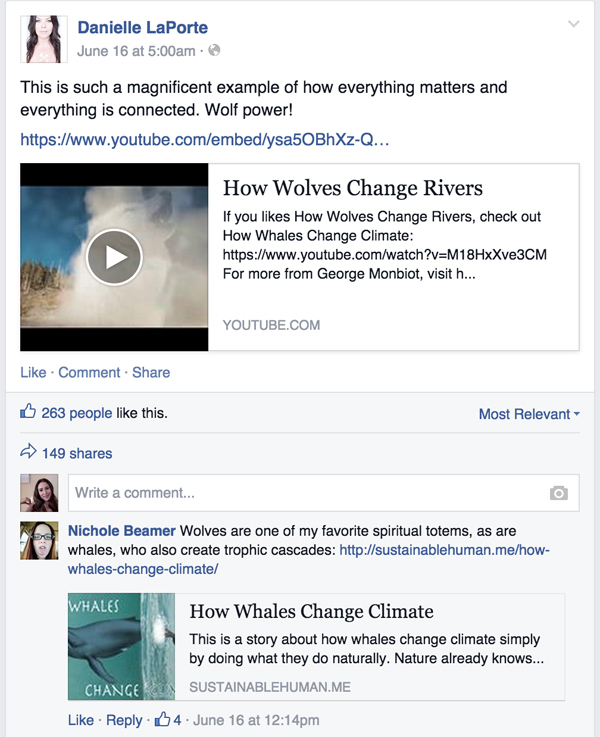 Once you find a new post, how do you write an attention-winning comment? 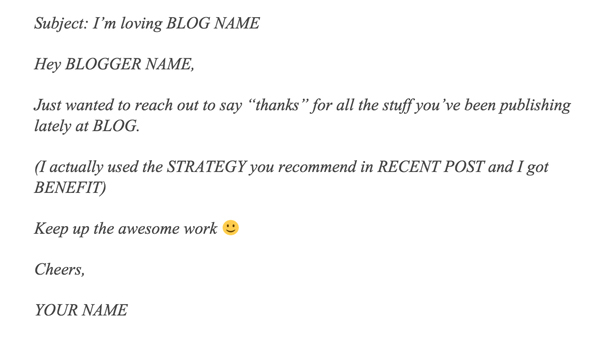 You can use the Greeting, Compliment, Value, Promise formula described in Kevin Duncan’s recent post The Ultimate Guide to Writing Comments That Open Doors with Popular Bloggers. Commenting on an influencer’s blog is a powerful outreach tactic because it meets the blogger on their home turf, and they’re highly likely to be reading the responses. But commenting has some drawbacks too. Comments are mostly limited to text, and those that include links often look spammy. (Some blogs block them altogether.) You usually can’t include other types of media, like images, either. That’s why Facebook is a helpful outreach tool too – it’s designed to encourage interaction, and you can easily drop in links (complete with thumbnail pictures), standalone images, and even videos to help make a stand-out impression on your target. 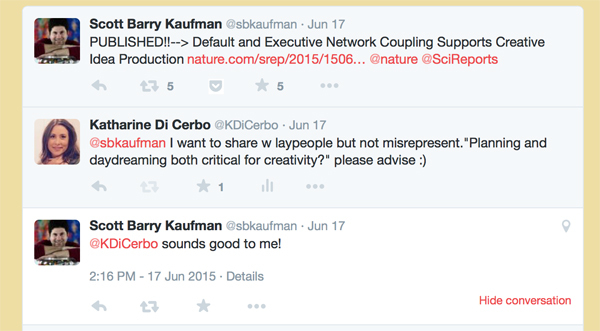 The following example shows how you can post a link that’s in direct response to an influencer’s own update. The link doesn’t need to be to your own content – in fact, it probably shouldn’t be – but the comment stands out compared to plain text. This kind of comment is a double win for the influencer. They’ll appreciate the value of the content you share (making them aware of valuable content helps them out), and it also shows engagement on their pages, making them look more popular. Just tread carefully here; you’ll want to make sure that whatever you post makes both you and your influencer look good. 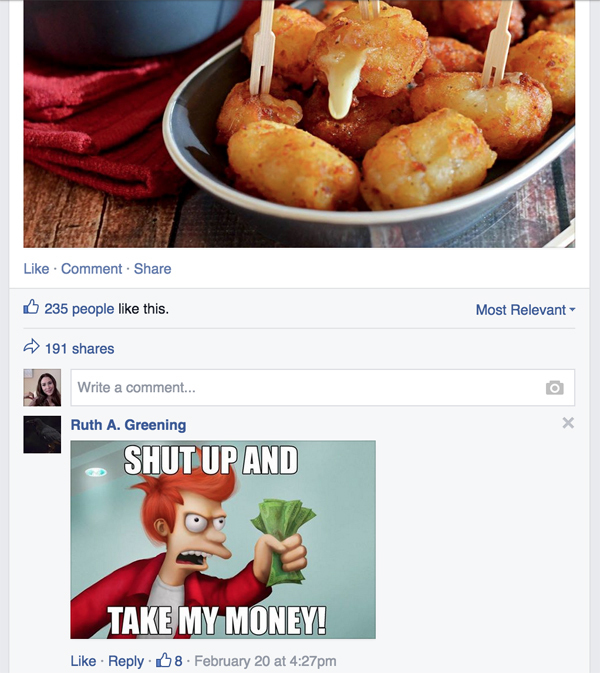 Remember the time your Grandma posted something cringe-worthy to your Facebook page? Another eye-catching technique is to enhance their post by dropping in an appropriate image that you’ve found or even created yourself, like a funny Internet meme or a photo that reinforces the post (such as a picture of the salsa you whipped up after reading their recipe posting). This step is all about starting to make an impact as a friendly, “in-the-know” person worth remembering. Since you’re practically “stalking” your influencers at this point, you should know which ones make a habit of inviting their followers to take part in conversations – and where. Doing so is perfect because it will allow you to start participating in these conversations. Of the three, perhaps newsletters offer the greatest opportunity because you can reply back by email directly and privately to your influencers, fostering a more personal connection. In replying, you can use the same general formula that you used for comments from Step 7: use a personal greeting, give a specific compliment, and add value and make a promise. Only now, your personal reveal should be in direct response to their engagement cue. This is also an opportunity to add some personal detail. If the influencer asked about your struggles obtaining clients, include authentic detail. If they want to know how you like to organize spices in your kitchen cabinet, share just that. Reacting to an engagement cue takes the burden off of you to initiate contact. Simply be receptive, open, and honest. Importantly, you now have a chance to be more intimate than you might be in a public comment. Think about it like having a private conversation with a teacher or professor rather than making a comment in front of the whole class. Hi Mark. I really loved how your post acknowledged that we will always compare ourselves to others but reminds us that we can choose the basis of our comparisons. I try to measure my own life in terms of how well I deal with obstacles that crop up on my path. This helps me avoid feeling disappointed if I haven’t met certain external milestones. I like taking pride in my resiliency. Thanks again for refreshing ideas. Taking your targets up on their invitations to engage is a vital step in building a relationship and ramping up your confidence. An influencer is the most likely to notice and reply to your thoughts after they’ve specifically requested them. However, don’t fret if some (or all) of your emails go without replies at this stage; whether you have official proof of it or not, your name is starting to burn a mark on your target bloggers’ memories. Until now, you’ve been communicating with your influencers via comments on blog posts and social media or in response to email newsletters. In other words, they’ve made the first move. You’ve simply responded. Now, you’ll build those courage muscles a little more by sending your first unprompted email to your popular bloggers using a direct email address or contact form. Down the line, you’ll want to use a direct email like this to ask an influencer to do something that will help you directly. But for now, let’s just get you used to the feeling of taking the lead without taking any big risks. Since an email like this builds on previous activity (like sharing and linking to their content), you should feel less nervous than if you were sending a true, out-of-the-blue email. Remember, always use your own “voice” when conducting outreach. If you adopt a tone or message that isn’t really you, it may come across as inauthentic. Whether you get a personal reply or not, most people love compliments. And they tend to make nice little mental notes about who gave them. By now, you have some great practice giving compliments to popular bloggers and asking questions on their blog or social media pages. Maybe you’ve even offered your opinion in an email or two when it’s been requested via newsletter. Now, you’ll ramp things up by giving unsolicited (but constructive and positive) feedback about the work your influencers have been sending you. This raises the stakes because you’re not just giving a simple compliment; you’re offering them your input, which subtly says that you’re someone they should listen to. An easy way to give useful feedback is to give an idea for how the blogger could improve their content or products – from the perspective of a fan. Honest and practical feedback is an essential element of building a relationship with anyone – but it works particularly well with influencers. Have you ever bought one of the products or services of your favorite bloggers? If so, you have a nice opportunity to strengthen your relationship by offering to give a testimonial or act as a case study. I wanted to thank you again for your fantastic course: “Designing Irresistible Content.” I really learned about mesmerizing my readers with some of the tricks you revealed in the class. I’d be happy to share my positive experiences in a testimonial or be the subject of a case study if that would be helpful. Just say the word. A well-intentioned gesture such as this is a fantastic way to take a relationship with an influencer to the next level before asking for a more one-sided favor. You could also offer to be a beta-tester of any future products they might release. This can be very helpful to the bloggers but also create more opportunities for one-on-one conversations with the blogger, helping to deepen the relationship. Now you’re ready to begin the process of introducing influencers to your own work. This is the scariest step yet (hell, they might actually read your work), but it’s not yet an outright request – it’s just a friendly, informational email. If the recipient picks up the subtext – “please promote my content” – that’s great. But there’s no loss of face on either side if they don’t. We’ll use the one-two punch: You can let your target influencer know that they’ve inspired you (Step 10) to write a blog post containing a link to them (Step 5). BAM! I was very moved by your recent post about using empathy as a tool to become a better manager. I shared it with my readers and it even inspired me to write my own post: “A Manager’s Guide to Earning Trust by Revealing Vulnerabilities” (LINK). I hope you’ll enjoy checking it out. The “between-the-lines” message is that their readers might enjoy seeing your post, so they’ll probably share your post with their audience. But, to ensure optimal sharing success, you must graduate to a more direct approach. To maximize the chances of getting a share for your latest content, you must summon that extra reserve of courage and just ask for it outright. You’ll likely feel a pang of anxiety because a direct request risks a no or being ignored completely. But if you’ve been following the earlier steps, this nerve-wracking plunge should feel much easier. Firstly, you’ve been building up to this psychologically, and by now you should have a lot more courage (and a thicker skin) than you did at the beginning of this process. Hooray! Once you’ve made it this far, you should give yourself a pat for completing your first direct and official request for promotion. You’ve asked for a share, and now you’re going to ask for a link! This is scarier because links are a more valuable commodity online than shares. They confer real benefit to the recipient (more traffic and better search rankings), they’re more permanent (whereas shares are quickly replaced by new ones in their timeline), and they take more effort (logging into WordPress, editing the post, etc.). But to keep the fears levels manageable (and because it’s best practice for any outreach measure), we’re going to keep the focus on the benefit to your target bloggers. One great way to accomplish this is look for places where they link to third party materials on their blog and find a gap that you can fill. You can do this with content that you’ve already created, or more realistically, with content created especially for this purpose. A gap can come in the form of a broken link found on their website, a list post that misses a point, or a resources page that your content could enhance. “Your e-book on green smoothie recipes for kids really helped me learn how to hide the bitter taste of dark greens in smoothies! All the other steps have been building to this one. This is the step where you start asking influencers for the kinds of favors that could really change your fortune as a blogger. Deep down you’ve probably known for some time what this step should be. It’s the step you never thought you’d have the courage to take. But you’ve been building your courage throughout this post. You have had some experience asking for direct (though smaller) favors. So it’s time to take that scary step and ask an influencer for a real favor. 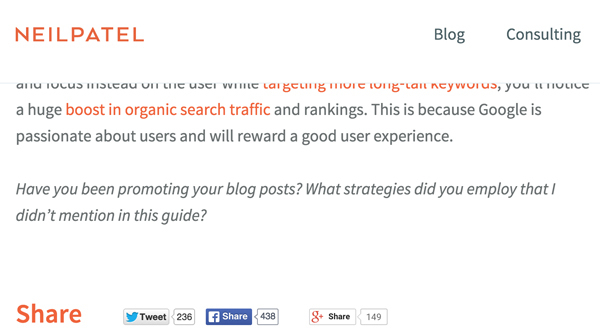 Writing a guest post on their blog (and getting a valuable byline link to your website). Interviewing the influencer for your blog (and enlisting his/her help in promoting it). Requesting an introduction to a particularly hard-to-reach influencer also in your niche. Asking an influencer to promote a money-making course you’ve developed. But if it still feels too scary, don’t worry. It simply means you haven’t yet done enough of the activities from the previous steps. You may feel, after asking one or two minor favors, that you need to refill the goodwill bank, so you’ll need to keep commenting, sharing, providing feedback, linking, and promoting the work of your influencers. After you’ve restored the all-important give-and-take balance, you can get ready for your Big Ask. Your approach will depend on your end goal, but you should have little trouble modifying the various email templates in this post to get you started. The only hard-and-fast rule to keep in mind is to frame everything from the vantage point of the benefit to your influencer. Talk about how that guest post will help their readers and how that interview will spread their reputation and message. If you keep that principle at the heart of all your outreach efforts, you won’t go wrong. Let’s face it; reading about these steps will always be easier than actually doing them. And those later steps probably look quite intimidating from where you are now. But that’s okay – they’re supposed to. So forget about them and look at first few steps instead: making a short list, following a few people on Twitter, entering your email in an opt-in box. You could do those, right? You could do those today. You’ll soon find that each time you complete a step, the next one doesn’t look as scary as it did in the beginning. And along the way, you’ll develop real relationships with influencers as you learn exactly how give and take works in the blogosphere. You’ll also learn how to ask for favors from influential bloggers without feeling awkward, fake, scared, or sleazy. Soon you’re outreach muscle will develop to the point where sending an email to a popular blogger is no scarier than sending an email to your mom. So take the first step, and leave those other, trembling bloggers in the dust. And hold onto your hat. Things move fast when you’re fearless.